Xiaomi has introduced Mi Credit in India, an "instant personal loan platform for young professionals." Mi Credit acts as a platform for its users to "initiate financial lending." The company has listed the financial loan providers on Mi Credit, and users can log onto the platform to apply for quick loans. Xiaomi has announced the Mi Credit service in partnership with an instant personal loan platform called KreditBee. Xiaomi's Mi Credit platform is available only for MIUI users. KreditBee, by offering loans from Rs. 1,000 up to Rs. 1,00,000, aims to make it convenient for young professionals to get personal loans. Xiaomi says that the loan can be initiated in less than 10 minutes with a simple KYC verification. All verification and user information input is done on partner platforms, and the Mi Credit website only lists the names of the agents. 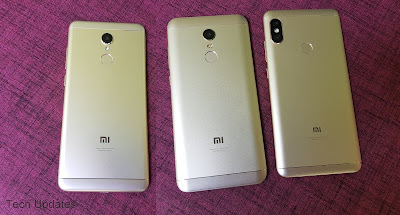 Manu Jain, Vice President, Xiaomi and Managing Director, Xiaomi India said, "The connectivity between our devices and the seamless integration between hardware and internet services enable us to provide our users with better user experience. Mi Credit is another big step in bringing an important internet service to India and we trust that our users would be able to truly benefit as the service becomes more sophisticated."